I was only running Tokyo marathon as it is part of the Abbotts World Marathon Majors. In fact all the Europeans I met were there for that reason. For the first time I went with a tour group as there is no Good For Age for Tokyo and I was ‘buying’ my way into the event. We arrived a couple of days before the marathon. The day before the marathon there was a Friendship run 4K. It was close to the Marathon pickup Expo and best imagined as a 4k from the London Excel. Not the most inspiring surroundings but made up for by the crazy costumes of the other countries and the enthusiasm of the Japanese marshals. A fun event and worth the early start. The advantage of being in the official marathon hotel with a group was that there was a bus to the start. In typical Japanese fashion each tour group had a coach to themselves which was nice. The start area was frenzied. Lots of volunteers pointing out the way to go, entry to the start area through a bag search according to number bib (The information on the bib showed your start area entry gate, bag drop off vehicle and cage within that vehicle and start pen – not just the start colour and start pen but it is Japan). Massively long queues for the toilets which seemed to intersect each other but further sets after the bag drop with much shorter queues. The start was along a dual carriageway through an office park. Just prior to the start the 3:30 pacers came into my pen and it seemed a good idea to see how long I could stay with them. My thoughts had been 3:40 but nothing ventured, nothing gained. Not the most exciting place but we crossed the start line quickly. Keeping slightly behind that golden balloons of the five pacers I started. Most of the route is along long straight roads, up one side then later in the race back along the other. Looking at the markers on the other side gave an idea of how long until we would be back. It also helped to spot the water stations. There were plenty of water stops with isotonic drinks and water (the well known Pocari Sweat!). There had been plenty of opportunities at the Expo in the goody bag to try the local isotonic drinks so I was confident that they would not disagree with me. There is no point in blindly running in these major marathons as it is unlikely I would be back again so I spent plenty of time looking around while keeping the pacers fairly close. Lots of crowds clapping enthusiastically helped the kilometres pass. The distance is marked in kilometres so I spent lots of time converting into ParkRuns and into Miles. Rather than fuelling every 3 miles I was working on every 5k. The halfway point came and went and I was feeling good and the pacers were still close by so it was looking promising. We started down a long straight and the markers on the other side were showing 38K and counting down to the finish. Now was the time to concentrate and make sure I kept the pace up. Into the final few kilometres and the pacers moved to the side and encouraged those who were still with them to push on. Onto the final kilometre and a turn to the finish, except there was no sign of the finish as it was just around the next corner but a sprint (very unusual for me) took me over the line. The usual long walk back to the bags collecting a Finishers towel (yes really) along the way. There were lots of marshals breaking into spontaneous clapping as I passed (very Japanese). Another marathon major marathon completed. I was not sure what to expect but although the Japanese speak only slightly more English than I do Japanese, getting around and communicating was rarely a real problem. 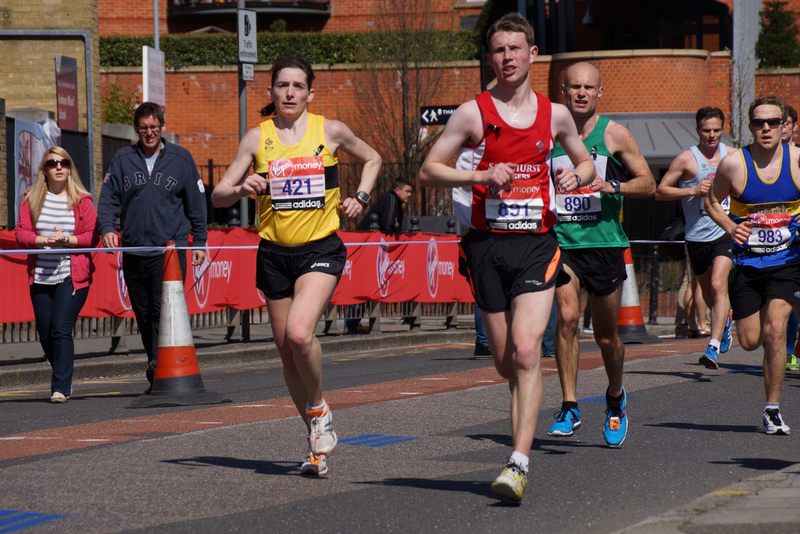 The marathon was well organised and the course is fast. Now for Berlin in September!